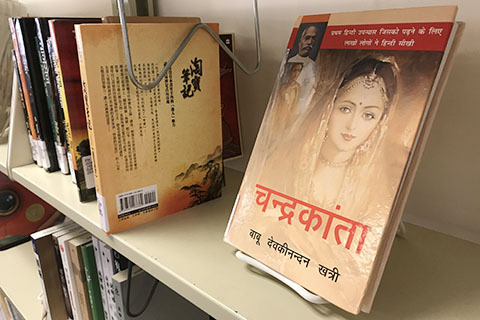 The Brandeis Library has added new non-English language titles to the recreational reading collection on Goldfarb Level 1. The Library is continuously working to be a place where the entire Brandeis community can feel welcome. The non-English recreational reading collection provides international students more opportunities to see materials in their native languages. The collection currently features about 50 titles in Chinese and Hindi. The collection also will be adding titles in Spanish and Korean soon.